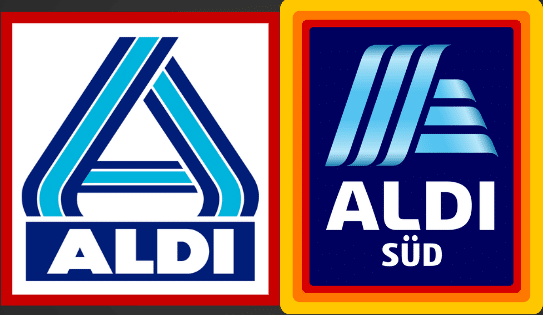 Aldi began a trial run of self checkout on Monday at its Glascote store in Tamworth, Staffordshire, in the United Kingdom. The self-service checkout system is only at that one store. The system includes card-only and cash tills, and depending on its success, a decision will be made later on whether to roll the technology out to additional Aldi stores. Aldi UK communications director Richard Thornton said: “As well as providing outstanding quality products at unbeatable prices, we are focused on giving our customers a quick and simple experience in our stores. 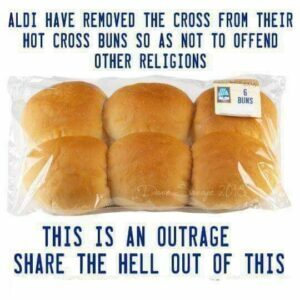 A rumor — along with an old meme — has been circulating on social media that wrongly states that Aldi removed the crosses from its hot cross buns in order to appease people who follow religions other than Christianity. The rumor is false. Aldi still sells hot cross buns with crosses on them, and in fact, the discount grocery store introduced new hot cross bun flavors for Easter this year. Aldi gets it hot cross buns from an Oxfordshire bakery, Fine Lady Bakeries, which has introduced four new bun flavors for Easter this year in Aldi’s Specially Selected product line. Called the “best of British” flavors, they are Rhubarb & Custard, Salted Caramel & Belgian Chocolate, Very Berry and Blueberry. The bakery also makes all of Aldi’s own-label hot cross buns, including the Specially Selected Luxury Fruited Hot Cross Buns, which were named best on the market in Good Housekeeping’s annual Easter taste test. The meme that alleges that Aldi removed crosses from its hot cross buns is at least one year old, according to the fact-checking website Snopes. A watermark of the name “Dave Savage” and the year “2018” is visible on the bottom right corner of the package of buns in the meme. Snopes was unable to locate the original post but discovered many social media users shared it dating back to February 2018. Castle Dairies based in Caerphilly, Wales, has contracted with Aldi to supply the grocery chain with a new premium butter. The family-owned business on Pontygwindy Industrial Estate will supply approximately 6,800 packs of the new butter to Aldi’s 49 stores in Wales each week for at least 12 months. Castle Dairies worked with regional farmers to develop the butter, which is hand salted with sea-salt crystals from Wales and made with Welsh cream. Castle Dairies has been owned and operated by the Lloyd family since 1986.